Transport your body, mind and spirit to a state of pure bliss at Bayside Spa. Our serene retreat is a place where you can surrender to relaxation while you break away from daily cares, stress and muscle tension. 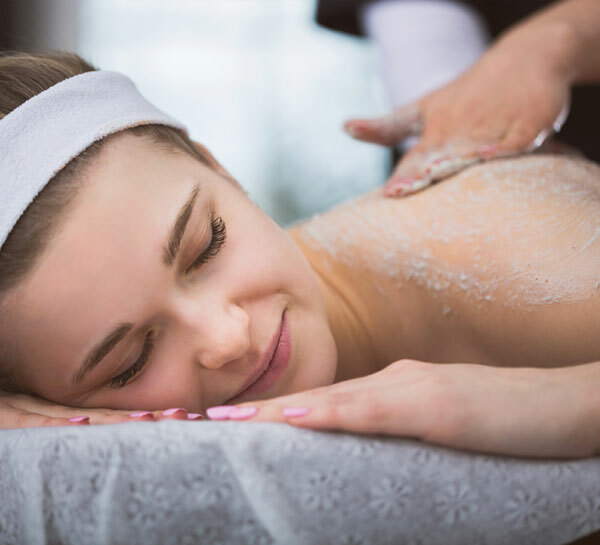 Let our wellness and beauty professionals guide you through gentle, yet revitalizing spa experiences, including beneficial massages and curative body treatments that combine healing essential oils and holistic techniques for balance and renewal. Enrich your vacation or weekend experience at Horseshoe Bay Resort with a day at our luxurious the Texas Hill Country spa on the shores of Lake LBJ. fatty acids, omega-3 oils and vitamins for shine; and antioxidants for protection. 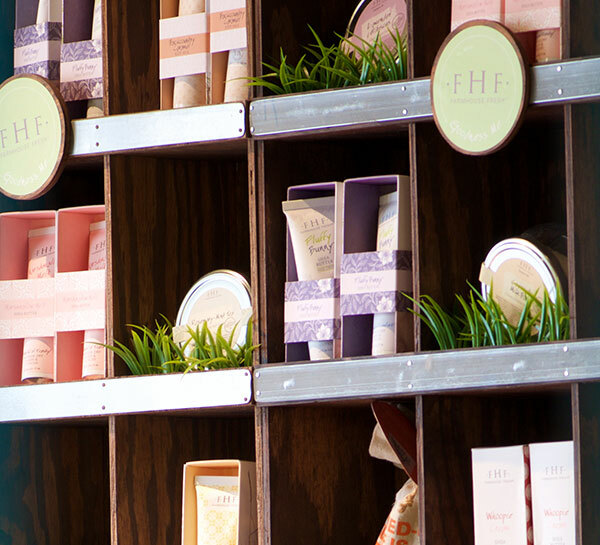 With so many products to choose from, there is something for everyone! Choose from our selection of massage therapy offerings that are designed with your specific needs in mind. Our therapists are highly trained in other modalities and these may be added to customize any of our spa services. For treatment enrichment you may add on any of our mini therapies. Enhance a deeper muscle relaxation through the placement of smooth, water-heated stones at key chakra points on the body. This healing massage will melt away tension, easing muscle stiffness and increasing circulation to renew body and spirit. This nurturing pre-natal massage gives special attention to the mother's comfort at various stages of pregnancy. Massage techniques, organic aromatherapy oil and pregnancy support pillows will help you relax and care for both you and your baby. Offered in the last two trimesters of pregnancy. 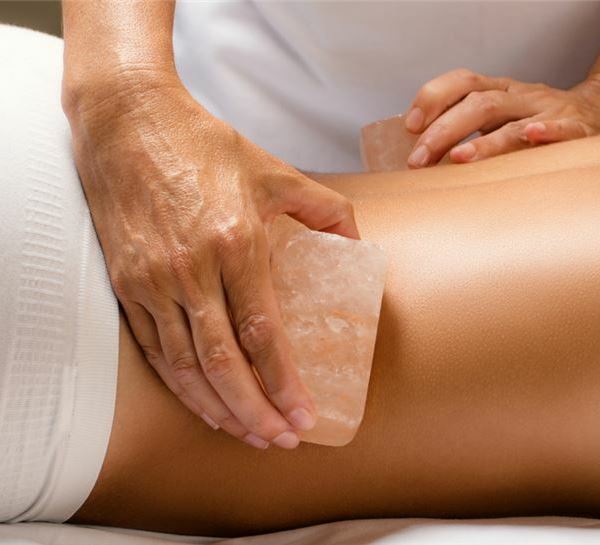 Experience an innovative healing technique using warm Himalayan salt stones to bring the mind, body and spirit into balance. Gently soothe away an accumulation of stress, tension and reduce inflammation while giving an immediate sense of improved well-being. Customizing the pressure to your specific needs, your therapist will pay special attention to the areas of the body you feel need it the most. This massage incorporates stretching, soothing muscle balm, aroma oils and heat packs. For the spa enthusiast and for the guest who wants a full body experience rich in dedicate ingredients and signature scents. 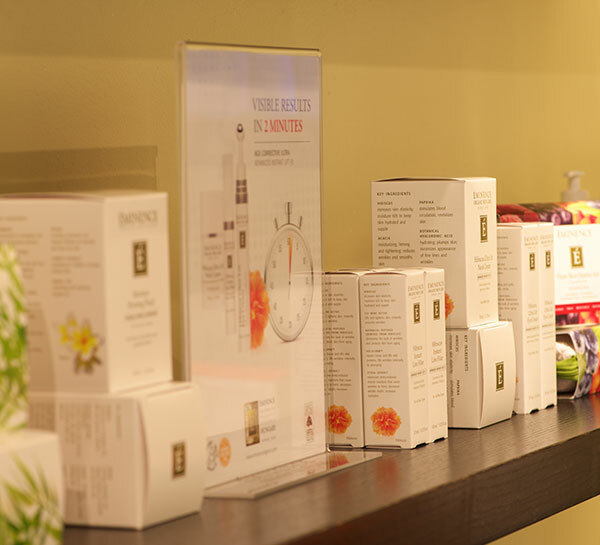 Each treatment has a take home component that can be found in the spa boutique. This ultimate body decadence starts with a full body sugar scrub, followed by a tea infused body mask. While wrapped in a warm cocoon you will receive a foot scrub, scalp massage, a face cleansing and massage. This treatment is finalized by full body Swedish Massage. This ancient therapy begins with a full body relaxing Swedish massage. Then we use a thin, gentle stream of warm herbal oil to the "third eye" to quiet the mind and soothe the senses. 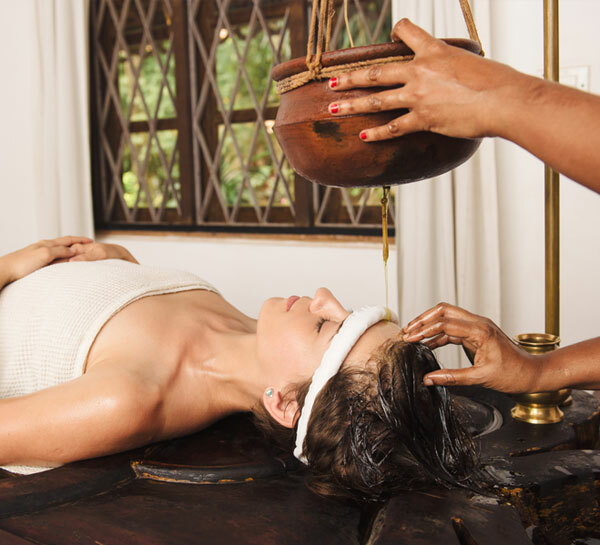 The nourishing oil is massaged into your hair and scalp, then further enhanced by an application of Ayurvedic herbs. This body exhilaration combines the benefits of nature's spices and natural ingredients to improve your skin by toning, smoothing and detoxifying. The warm sensation of paprika will stimulate skin resulting in a rosy glow appearance; assisting in oxygenation and increased blood circulation. Organic fruit filled body treatment starts with a full body sugar scrub and berry body mask. 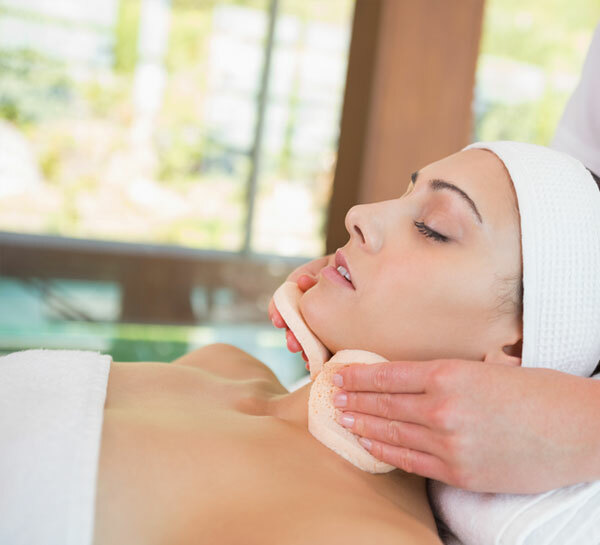 While in a warm wrap enjoy a light face cleanse and massage. This treatment concludes with a full body massage using tropical oils and lotions tailored to your specific needs leaving you feeling renewed. 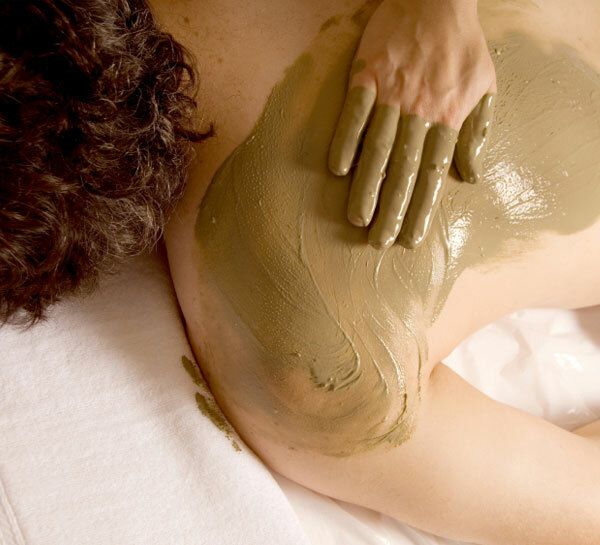 This treatment is the heart of our Ayurvedic Rituals, which includes a botanical mask, exfoliation, dry brush exfoliation, herbal body wrap and a specialty facial massage. 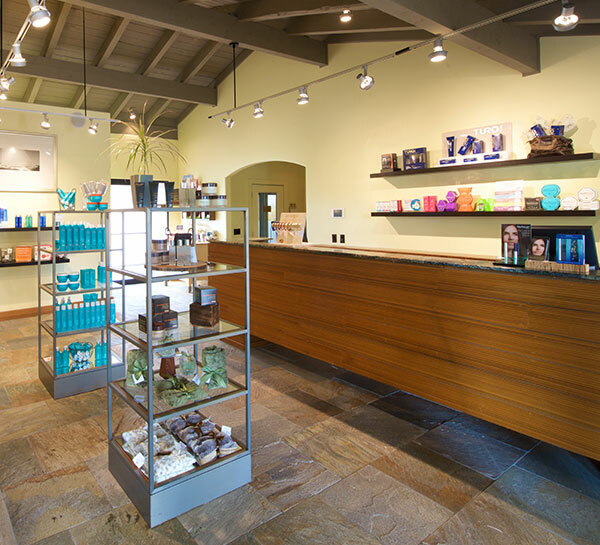 Our experienced specialists will work with you to custom blend an aromatherapy oil to enhance your experience. Short on time? 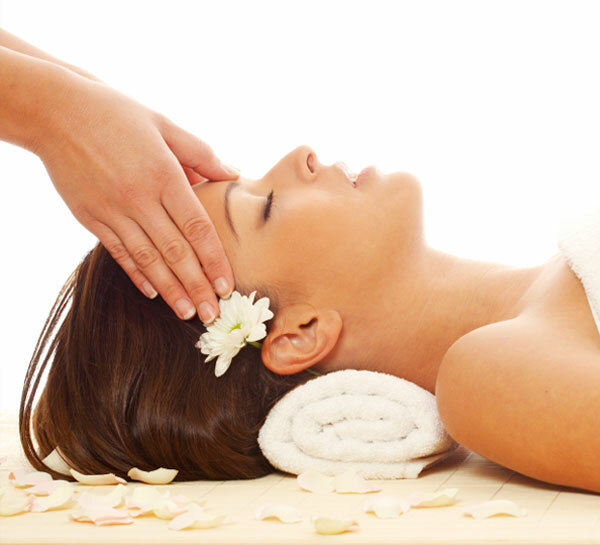 Enjoy a mini treatment or enhance your spa day by adding on to a full service massage, facial or body treatment. Foot treatment for tired and fatigued feet that exfoliates, purifies, stimulates circulation, hydrates and conditions feet. Reflexology style massage completes this invigorating service. An invigorating aromatherapy massage concentrating on the tension areas of the back, neck and shoulders. Loosen tense muscles and alleviate built up stress, both physically and mentally. This body treatment will help address dryness and dehydration while toning and firming the skin. EmerginC firming serum contains arabica coffee seed oil, aloe and high performance ingredients. Take home a full size Body Firming Serum to continue the benefits at home. Organic seasonal scented sugar scrub used to exfoliate the skin. A seasonal oil is selected to hydrate and give the body a natural glow. Great to add onto another treatment or combine with the seasonal body wrap. The gentle cocoon wrap uses seasonal scented body whip cream and natural oils that will leave your skin silky and hydrated. Great to add onto another treatment or combine with the seasonal body scrub. You choose gold or diamond full face, neck and décolleté treatment. Each mask is infused with collagen and has natural line filling and plumping properties. Gold - repairing, firming and calming. Diamond - brightening, hydrating and evens skin tone. Richly nourishing hair mask is massaged into the scalp, releasing tension, conditioning the scalp and leaving hair shiny, glossy and hydrated. Especially great to add onto any facial! Enjoy a selection of high performance treatments designed specifically for the male spa goer. Looking for results and improving overall well-being; you came to the right place! While enjoying a salon treatment we will treat you to a glass of wine or beer from our selection. An invigorating aromatherapy massage concentrating on the tension areas of the back, neck and shoulders. Loosens tense muscles and alleviates built up stress, both physically and mentally. This sport massage focuses on loosening stiff hips and shoulders to improve your golf swing and overall game! Using acupressure, stretching and targeted massage techniques will work out those tight areas. 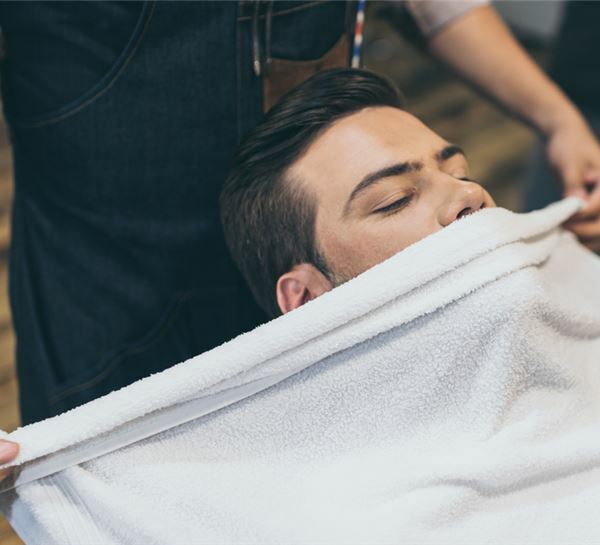 Designed specifically for men, this high performance facial incorporates steamed towels wrapped barber- style around the face followed by a deep cleanse, exfoliation and moisturiser to remedy the problems associated with daily shaving and excessive environmental exposure. Includes a natural buff, cuticle trim, scrub, forearm and deeply hydrating hand massage. This service includes an invigorating foot scrub, cuticle trim, callus remover and calf massage. Spa packaging including the Golfer's Massage, Rugged Man Facial, MAN'icure and sport pedicure. Using the finest ingredients that are results oriented, our skin care professionals will customize the facial of your choice and guide you on a home care journey for maximum benefits. 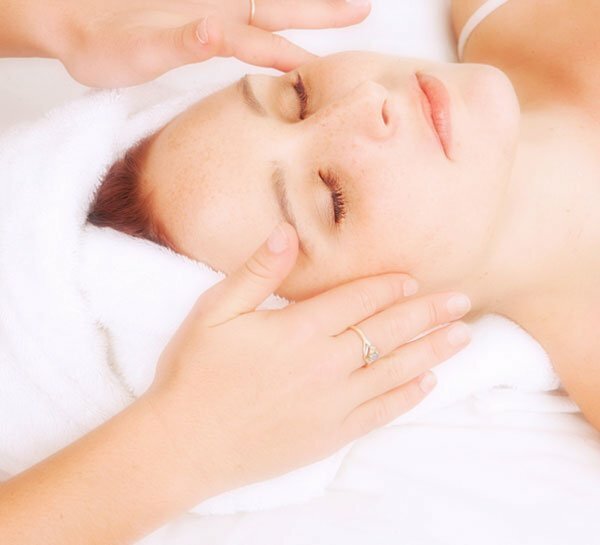 Eminence organic facial uses serums, oils and creams that are rich in vitamins and antioxidants. The seasonal scents will take you back to nature. Our expert skincare professional will customize ingredients to help you accomplish your goals and obtain your skin's natural balance. 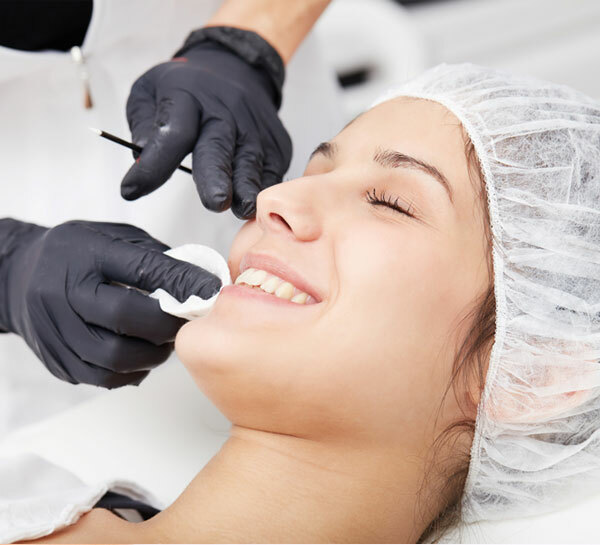 Instantly receive the benefits of a cosmeceutical grade treatment. Your skin will be smoother, brighter and healthier after one application, while enhancing the penetration of active plumping ingredients and natural peptides. This facial gives great results without the ‘down-time' associated with other harsher products. A high performance facial that combines powerful vitamin C, antioxidants, multi vitamins, coenzymes with soothing botanical extracts to rapidly firm, tone, hydrate, and boost cellular turnover to reduce the appearance of fine lines and wrinkles. Your skin is left noticeably radiant, hydrated, and dewey. 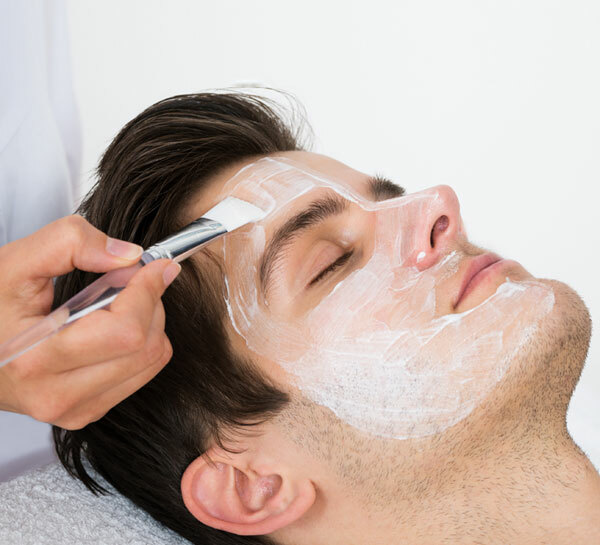 Designed specifically for men, this high performance facial incorporates steamed towels wrapped barber- style around the face followed by a deep cleanse, exfoliation and moisturizer to remedy the problems associated with daily shaving and excessive environmental exposure. 100% natural professional marine-based peel-off mask with apple stem cells, vitamin C, hyaluronic acid, and glycosaminoacids. 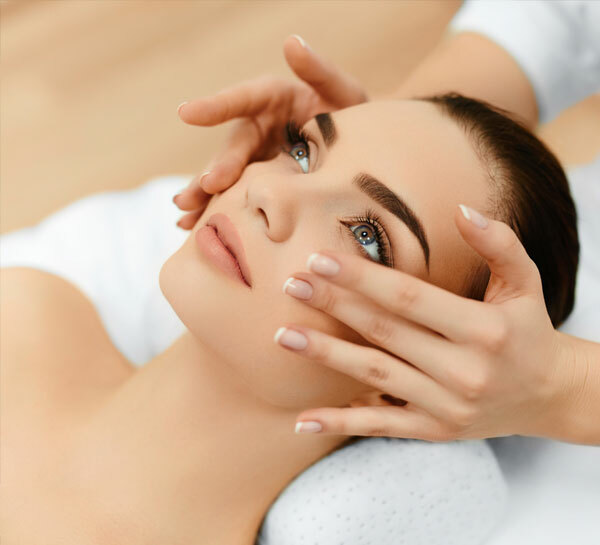 This non-surgical treatment helps replenish and lift the eyes while targeting fine lines and puffiness, leaving skin feeling hydrated and refreshed. See visible results in minutes. Gold Lip and Eye Mask - repairing, firming, calming. Rejuvenate and tighten the delicate neck and décolleté area with a blend of hibiscus and botanical hyaluronic acid to keep skin firm and taut. Diamond Lip and Eye Mask - brightening, hydrating, evens skin tone. Using the finest ingredients while enjoying views of the bay and a complimentary glass of wine will ensure the ultimate spa experience. Our signature manicure is designed for hands that lack radiance and youth. A gentle, yet effective peel renews the skin, followed by a vitamin C + Retinol masque to hydrate and brighten the skin. Conclude with a natural nail buffing or an expert polish application of your choice. Deluxe pedicure includes an organic sugar exfoliation, French green clay mask, followed by moisturizing massage cream to heal, protect and hydrate the skin. Conclude with a natural nail buffing or an expert polish application of your choice. 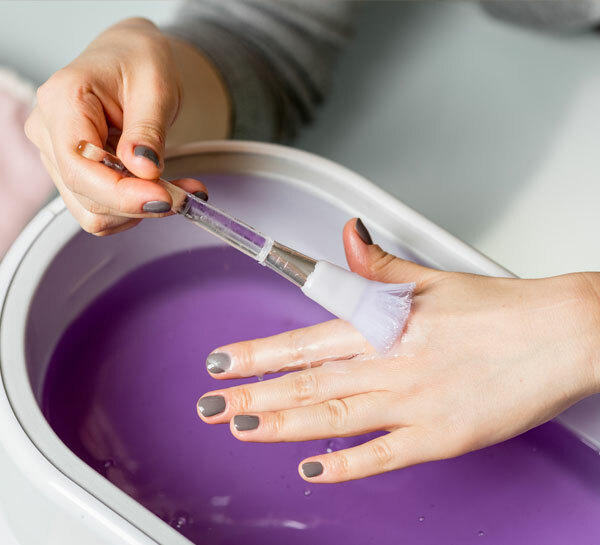 This manicure includes a natural buff, cuticle trim, scrub, forearm and deeply hydrating hand massage. This pedicure includes an invigorating foot scrub, cuticle trim, callus remover and calf massage. Includes polish removal and an expert polish application or nail buff on hands or feet. HOW TO SPA ~ A guide to help you enjoy the spa amenities and to enhance your spa experience. Our Spa Concierges are eager to assist you plan the details of your next Spa experience, including the best order of treatments. When making reservations, please notify us of any health concerns, including high blood pressure, allergies, physical ailments, disabilities or if you are pregnant. There are a few services that should be avoided during pregnancy, but many can be enjoyed. The Spa is open to guests 16 years and older. Younger guests spa treatments are provided at our discretion, and a parent or adult guardian must be present. The pool area is available to guests 18 years or older. There is a 24-hour cancellation notice requirement at the Spa. If you must reschedule or cancel your appointment, please notify the Spa at least 24 hours in advance to avoid being charged in full. Please arrive 30 minutes prior to your first scheduled treatment. 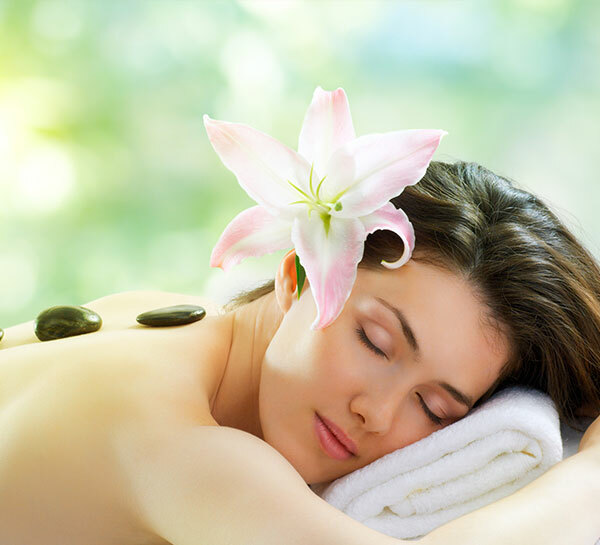 This ensures that you get maximum enjoyment from your Spa experience and that other services begin on time. Most body treatments are enjoyed without clothing. We encourage you to wear whatever is comfortable for you. During all treatments, the body is fully draped except for the area being worked on. Robes and slippers are provided for both men and women. Your comfort is our highest priority. Our licensed provides are trained to drape you discreetly. Shaving is not recommended prior to body treatments or hair removal services. Shaving is recommended, but not necessary, for men prior to a facial. If you choose to shave prior to your facial, please do so at least two hours prior to your appointment to avoid any discomfort. At Bayside, we understand that your Spa experience is your time, and you should enjoy every moment. If you experience discomfort because of room temperature, massage pressure, music volume or any other conditions, please tell your therapist. The tranquil environment for our guests experience is important to all of our guests. We respectfully request that all cell phones and electronic devices remain turned off. Lockers are available for personal items; however, we do not assume any liability for the loss or damage of personal items, including jewelry, clothing or other valuables. For your convenience, an automatic 20% gratuity is added to your bill. The guest does have the right to alter the gratuity at their discretion based on their satisfaction with the service received.